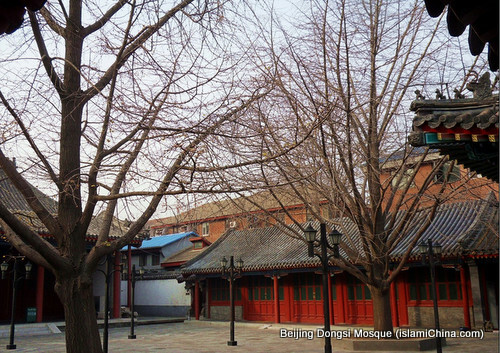 Beijing Dongsi Mosque is one of the oldest mosques in Beijing. It is located at No.13, the Dongsi South Street, Dongcheng District. 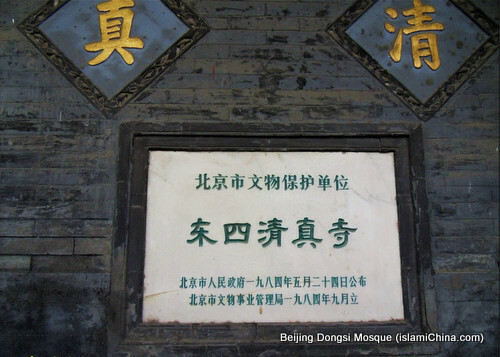 There are different sayings about the construction time of Beijing Dongsi Mosque. 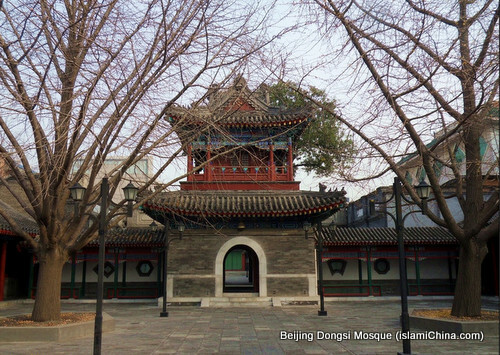 Some people say that Beijing Dongsi Mosque was built in 1356 during the Yuan Dynasty (1271-1368), but some other people think it was constructed in the 12th year (1447) during the Zhengtong reign of the Ming Dynasty (1368-1644) by a military officer named Chen You. 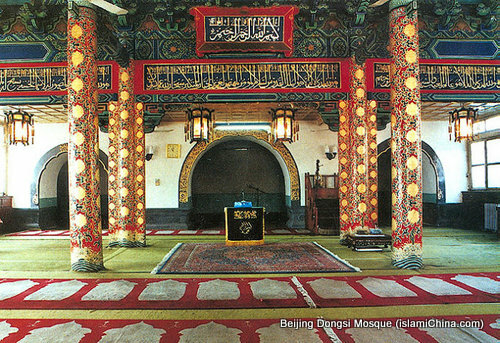 The entrance of Beijing Dongsi Mosque faces the east. 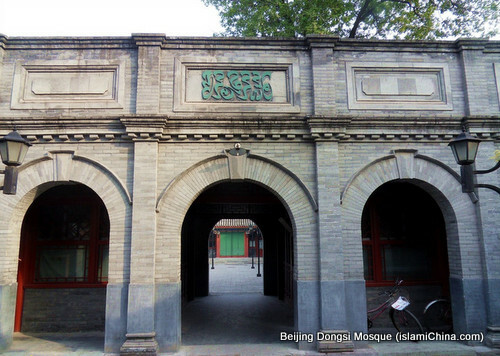 The existing buildings include two gates, a minaret, a prayer hall and so on. The first gate was rebuilt in 1920. Originally, there was a minaret inside the second gate. 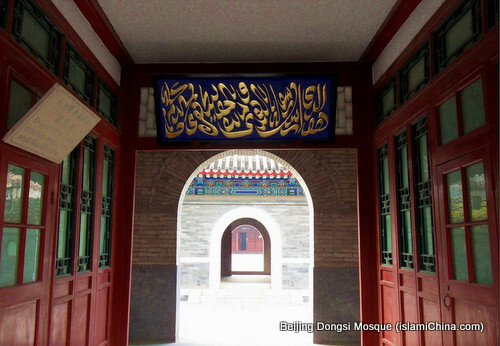 The prayer hall can accommodate 500 people and Quran is carved on the hall's arches. There are five wing halls and three wing rooms respectively on the southern and northern parts of the courtyard with ambulatories in front of all of them. These buildings feature the Ming Dynasty architectural style. 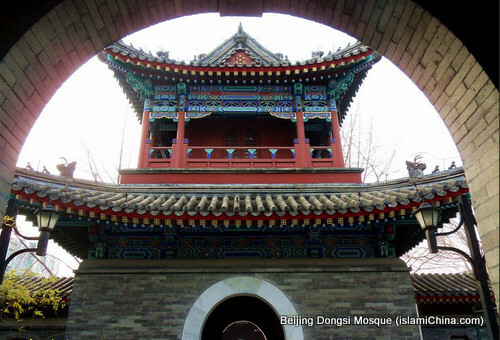 Many precious cultural relics are preserved in Beijing Dongsi Mosque. In the library located at the southern wing hall, you can find various versions of Quran. The most precious one is a hand-written copy from the Yuan Dynasty. 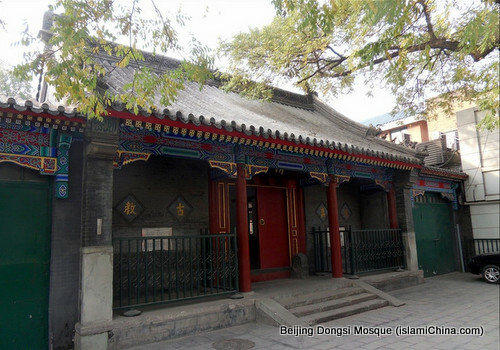 Beijing Dongsi Mosque is the headquarters of the Islamic Association of Beijing.